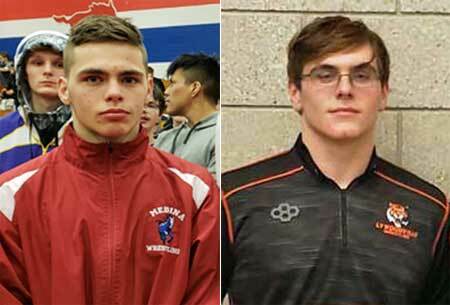 Two local wrestlers, Lyndonville junior Mario Fidanza (220) and Medina junior Colby Petrie (126), have earned wild card berths to the upcoming state championships. Fidanza, who is 27-1, placed third and last weekend’s Section V championships while Petrie, who is 27-3, likewise placed third at the Section VI championships. Three other Niagara-Orleans League wrestlers have also earned wild card berths including Millard Young (195) from Akron along with the Newfane duo of Ryan Nugent (145) and Ty Cassinelli (285). The state championships will be held February 22 and 23 at Albany.